The digitally connected world today is a scary place. Ransomware and other types of attacks continue to garner headlines on a regular basis across the globe. According to the FBI, ransomware grew at a rate of 6,000% in 2016 compared to a year before, drawing in a colossal $1 billion dollars in revenue. This unprecedented amount of money now stimulates investment capital to advance the effectiveness of future attack and has launched new business models such as Ransomware-as-a-Service (RaaS), supported by established distribution channels. Cyber criminality is a business. According to a report by Ponemon 2013 called State of the Endpoint, malware is a significant contributor of higher IT operating expenses. The cost of cleaning or reimaging infected machines is expensive. Furthermore, malware induced production-stopping threats such as ransomware and Denial of Service attacks can grind your business to a halt. Even more costly is intellectual property theft as well as data breaches that expose the personal data of customers and employees, opening your organization to costly lawsuits that can forever damage your reputation. Cyber security must be an integral part of your IT strategy. Unfortunately, keeping up with the relentless introduction of new threats that threaten the security of your network is a daunting task today. NSC Information Technology group provides network support and cyber security services for business and organizations throughout the Houston area. Our team of network security specialists work to ensure your network has built-in safeguards against potential threats that will warn employees before they open a potentially malicious website or email. To guarantee enterprise-wide security, you need technology and services designed to stop the threat before it starts. At NSC, we offer complete multi-level security coverage for companies throughout the Houston area and beyond. 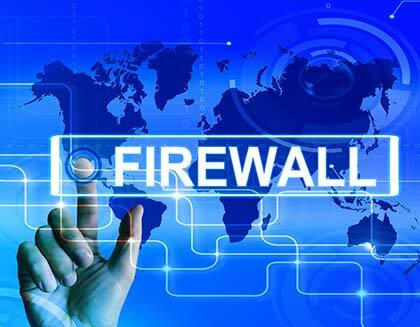 We offer firewall services to protect your security perimeter, email security solutions to strip away malware laced links and attachments as well as endpoint security services to protect your individual devices. NSC has the tools and solutions to fit your particular needs. We also provide user education concerning security protocols, password policies and best practices because your users are your first line of defense. As little as a decade ago, the worst cyber security issues a business had to worry about were employees falling for a phishing scheme. Today, the FBI has a wanted list of 19 most-wanted cyber criminals, some of whom caused losses of more than $100 million. You can no longer afford to be complacent with network security of your company or your customer’s data. Recent events plaguing major companies have demonstrated this. NSC Information Technology group provides network support and security services for traditional data centers, endpoint, identity and network management. Cyber security is about more than safeguarding yourself against hacks. It can be something as simple as improving password strength or deleting suspicious emails. Unfortunately, a vast majority of people fall victim to these threats without realizing it. According to recent reports, roughly 75% of consumers (this includes employees) duplicate passwords and rarely change the ones they use. Many people go as far as to use “123456” as a password. While implementing required quarterly password changes helps to fight the problem, more is needed. To guarantee enterprise-wide security, you need technology and services designed to stop the threat before it starts. At NSC Information Technology Group, we understand what it means to be safe in a network. Businesses lose millions each year as a result of faulty security measures. Our team of network security and network support specialists work to ensure your network has built-in safeguards against potential threats that will warn employees before they open a potentially malicious website or email. It is like having an in-house security team without the overhead costs associated with it. We offer IT consulting and full-time managed IT support to service your company should the worst occur. We offer services to secure applications and next-generation platforms including cloud, mobility and analytics. Our team will work with you to establish better security and a best-practices approach to password creation, safe internet browsing, and email security. By training employees and teaching them how to distinguish between safe and unsafe links and attachments, you put your company — and your customers — at a much lower risk of exposure. Despite all of your best efforts, sometimes attacks still occur. Part of cyber security is knowing how to come back from a major hit due to a virus or focused attack. NSC Information Technology Group can help you establish a backup and disaster recovery plan should the worst-case scenario take place. The most expensive computer virus in the world caused $38.5 billion in damages. Do not let this happen to your company — contact NSC Information Technology group today. Copyright © 2019 NSC Information Technology Group. All rights reserved.